About us - Schröder Polska Sp. zo.o. Schröder posiada własne zakłady produkcyjne, wyposażone w nowoczesny i wydajny park maszynowy. Produkujemy na rynki światowe w ISO-certyfikowanych zakładach w Niemczech, Turcji, Portugalii oraz innych krajach zachowując wysoką jakość, racjonalność oraz konkurencyjne ceny. Welcome to the Schröder Polska website. The Schröder company has been operating on the Western Europe market for over 50 years and has been operating on the Polish market since 1999. Tradition combined with modern technology and rich experience have allowed us to achieve excellent results. Despite the ever-changing economic climate, we managed to maintain development trends. We offer an ever wider range of products. The investments we make ensure that we are able to meet the expectations of our customers by offering unrivaled quality at a moderate price of our products. In our offer you will find all kinds of products that build the image and brand of the manufacturer: woven and printed woven labels, tapes, seals, labels, plastic and leather patches. The range of our company's products is supplemented by a wide range of Indian and Chinese natural silks. Please familiarize yourself with our offer. In case of interest, contact us at the indicated phone numbers or by e-mail. We are happy to provide further information. We provide professional service to our representatives and designers who prepare specific graphic designs with price calculation. An individually tailored offer is the basis for an optimal solution. First, we analyze and then act. After analyzing the requirements for the labeling, control and security of your goods and products, we develop individual strategies, matching functionalities, design, and logistics to the requirements of the market strategy. From design to finished product, this is the motto of our action. In our graphic studio, we creatively process graphical ideas developed in cooperation with our clients. Of course, the guidelines set by your Corporate Identity are binding for us. 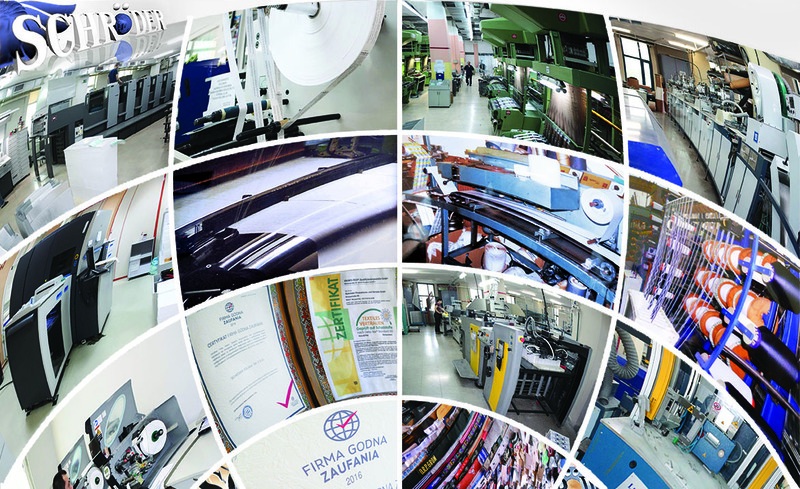 Schröder has its own production plants, equipped with a modern and efficient machine park. We produce on global markets in ISO-certified plants in Germany, Turkey, Portugal and other countries while maintaining high quality, rationality and competitive prices. Greetings, wishing you a fruitful cooperation. Directorate and employees of Schröder Polska.